4-aspect colour light signal, with home-built sequencer, based around an NE555 & 4017 counter IC. The next photo will have more home-built automation, either electronic or mechanical. Blimey, 200 quid for a bottle of Klear and 300 sold? Michaelaface - Tri-ang used to do exactly that. 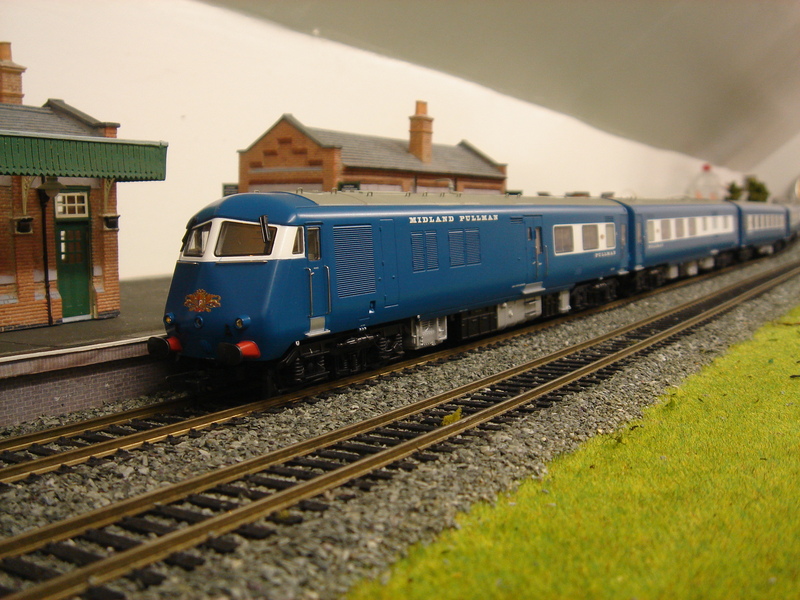 Their CKD (Completely Knocked Down) range was certain locos and coaches from their main R-T-R range in kit form. Aside from those discs, a nice touch is that the customer can decide how much bufferbeam detail to add, rather than the whole lot being factory fitted (only to have someone chop it off later). I've read a few accounts of people having locos with wonky nameplates, however, my 'Ark Royal' is fine. Bigmet - I have had a closer look and I see that, while a speaker appears on the parts diagram, one is not fitted. Interesting enough, but when it was revealed to SK that a number of IM tools had been scrapped, my reaction was much the same as his. Yes, they are illuminated. The tail light is a single unit, as per the prototype. The tail and cab lights are switchable for analogue users, the switches are located under the battery boxes. As far as I can see from the parts diagram included, the models also have a built-in speaker. According to a post on KMRC's Facebook page, the D600s have now arrived and are being packed and despatched. Sooty. Not a fan of Class 20s. Very nice set there, Dublo. My Midland Pullman. A 2012 Christmas present from my partner. I'm looking for the following for projects. Non-runners are preferred, but anything considered. Paint condition is not important. - Lima Class 60, complete. - Mainline/Dapol Class 56, complete.